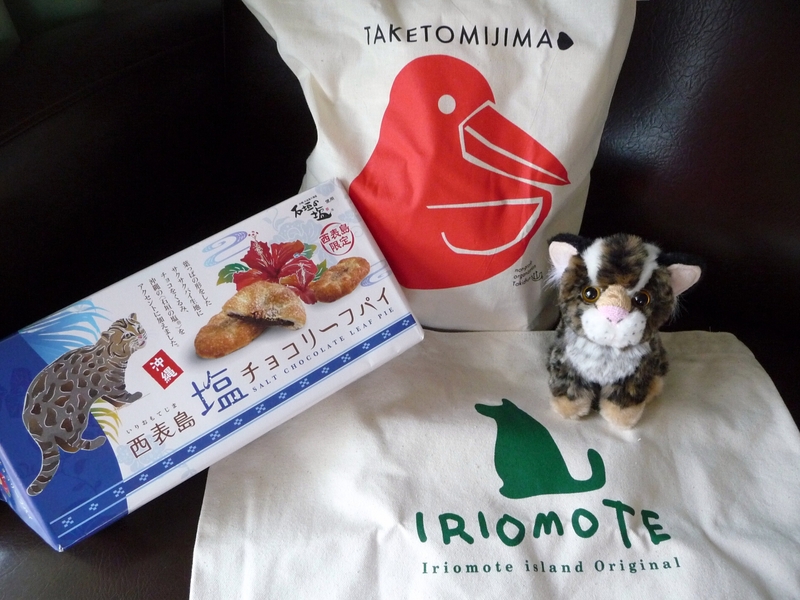 On our last full day at Ishigaki, we decided to take a day trip to nearby Iriomote Island. 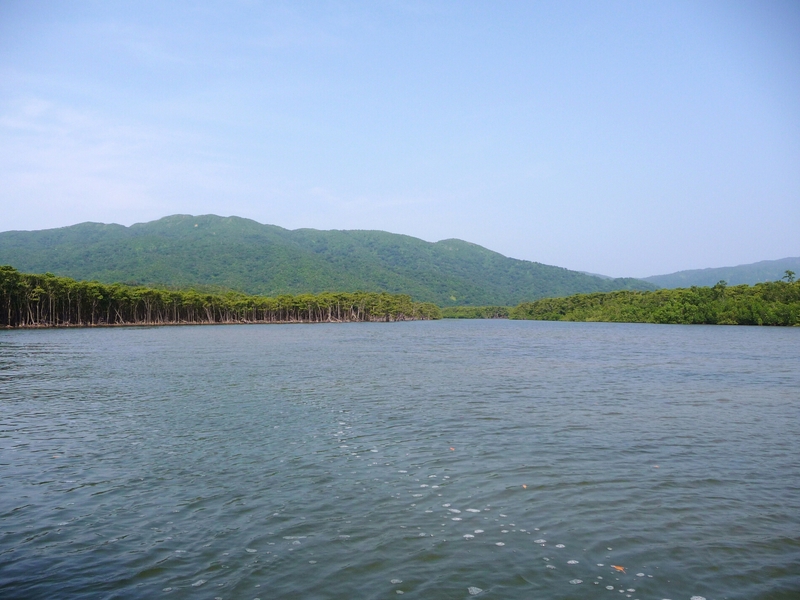 Though the second largest Okinawan island, Iriomote is largely undeveloped and covered by jungle and mangrove forests. 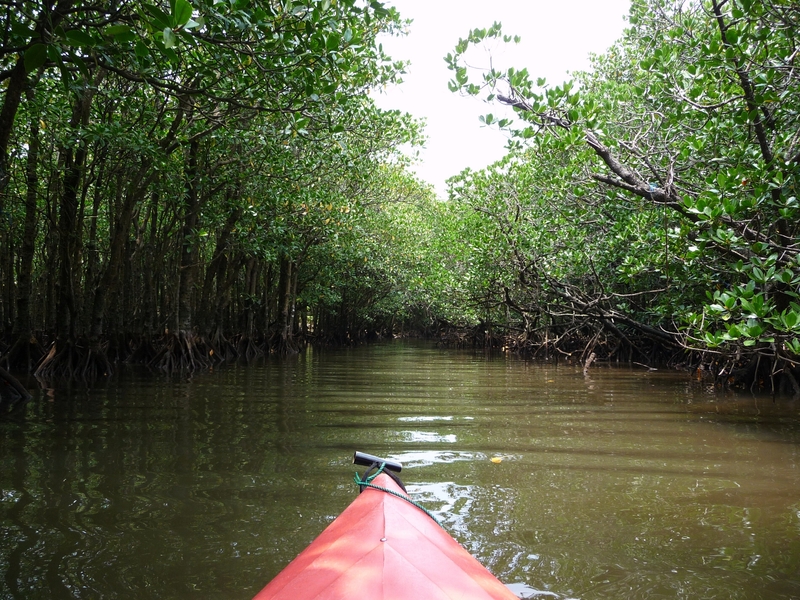 Our goal for the outing: to explore the mangrove forests lining Nakama River. 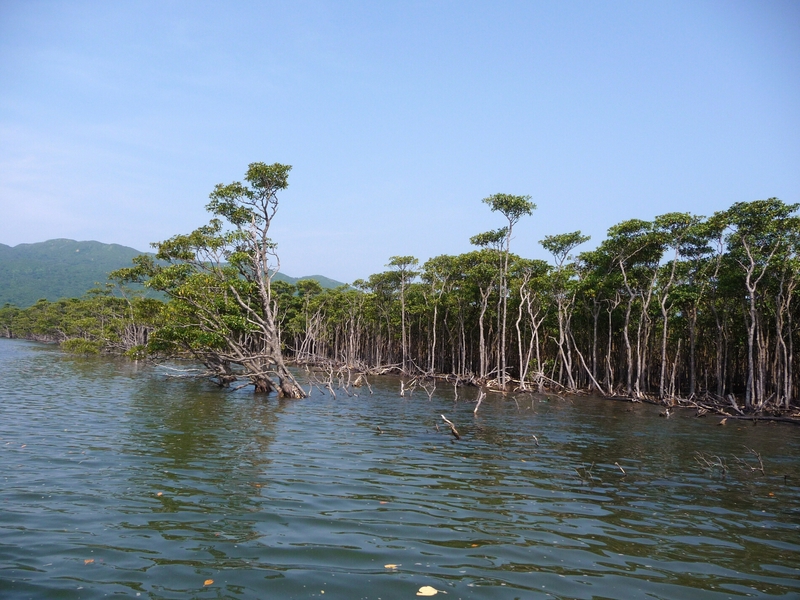 The mangrove forest is part of the Iriomote National Park, so the trees are mostly left untouched by residents and visitors. Our guide pointed out damage that had been caused several years prior during a typhoon. Years later, the damaged trees were still there and you could clearly see swaths of the forest that took the most damage. 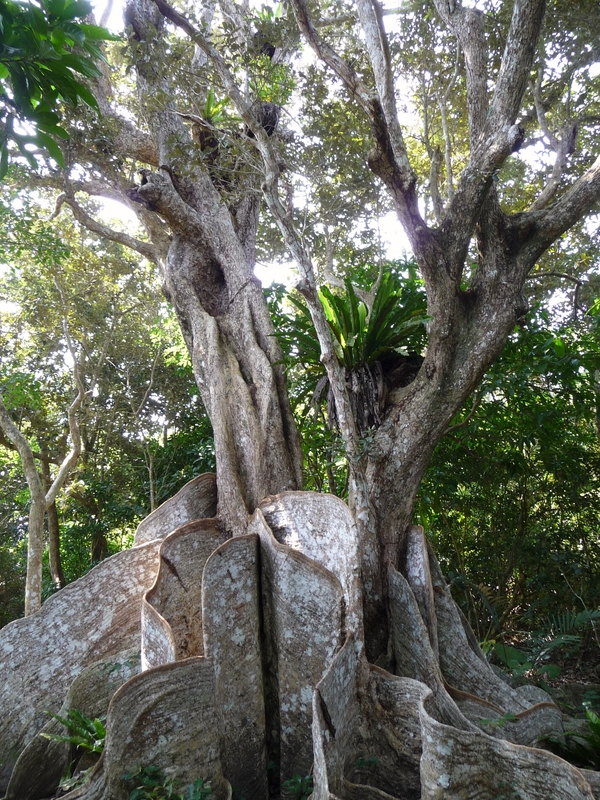 A species of palm called the Satake Palm can be found on Iriomote Island. 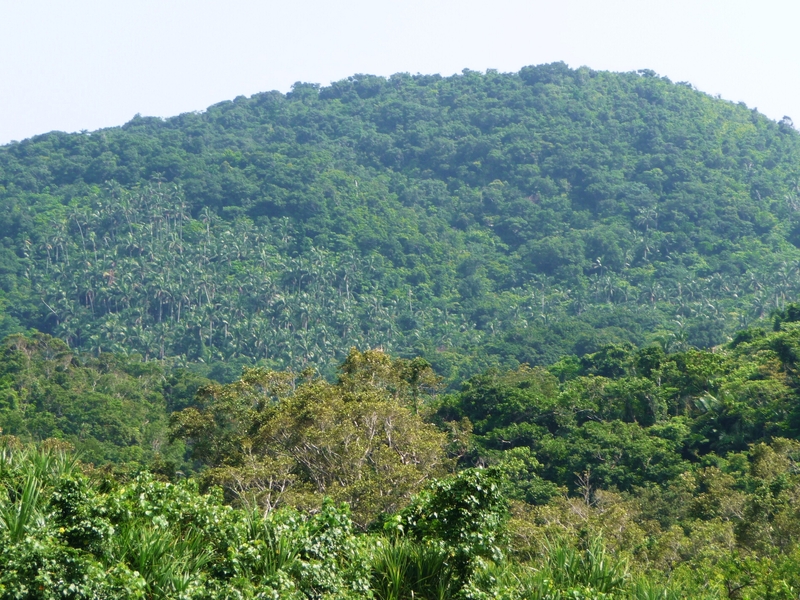 We saw a large swath of them growing on the side of the mountain and we saw several fruits on palms lining the river but, according to our guide, they are not good for eating. Our boat cruise made one stop before turning back down the river. 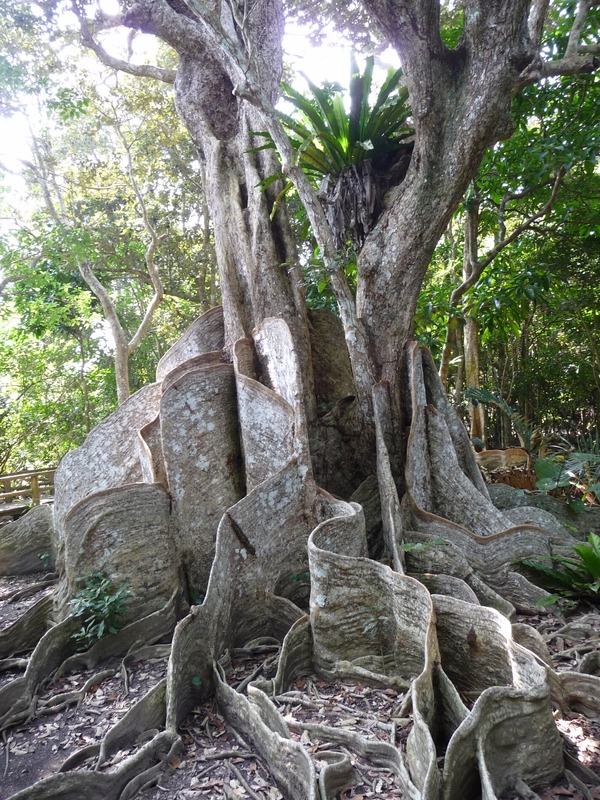 We all hopped off the boat to follow a short path to the Sakishimasuou tree, a 400 year old mangrove tree with some of the most amazing roots! Once we were back at the port, we decided we’d just not had enough yet. Most of the tours went on to various stops along the island before going to activities like water buffalo cart rides that we’d already done so we decided to take a walk and see if we could rent a canoe to explore the river on our own. 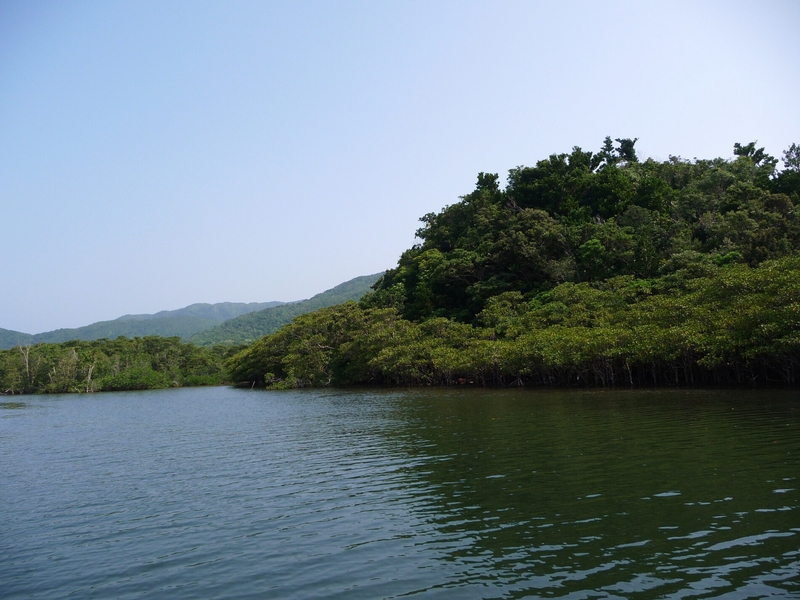 Remember how I said Iriomote is mostly undeveloped? Our walk from the port to the canoe rental shop was probably about half an hour but we saw very few people in that time. We passed a gas station and a couple souvenir shops but other than the staff waiting for customers, no one seemed to be out and about. Of course maybe that was because it was a rather hot, humid day and everyone else was inside with AC somewhere. We picked up some water bottles from a vending machine and then crossed the bridge over Nakama River. 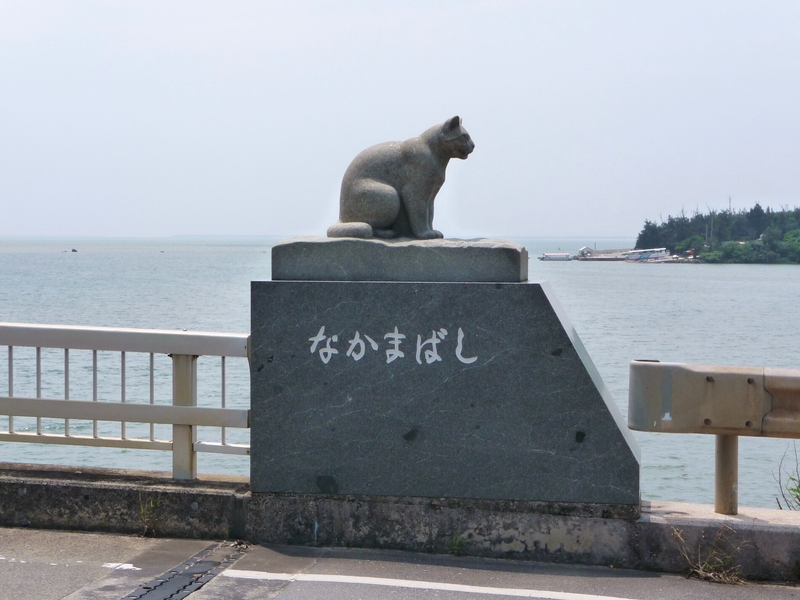 We found two cat statues guarding the bridge. Two of the big advantages to exploring the river on our own was that we could go at our own pace and since we were in a canoe, we weren’t restricted to staying in the middle of the river where it was deepest. It was so much fun to check out narrow breaks in the forest! Since we were in what seemed like the perfect environment for mosquitoes, I used lots of bug spray AND I wore an insect repellent wristband. 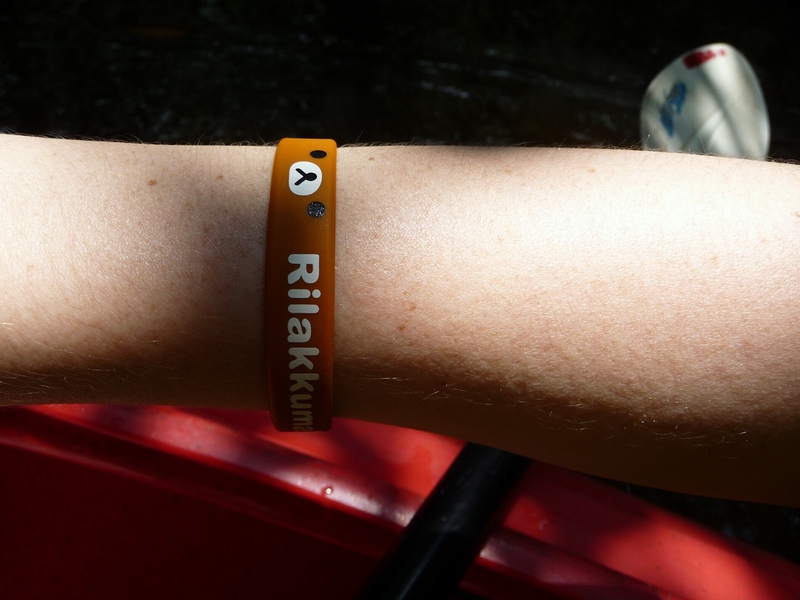 Mosquitoes really seem to love me (I get bitten when no one else around me does) so I was hoping the citronella oil on the wristband would provide a double layer of defense. 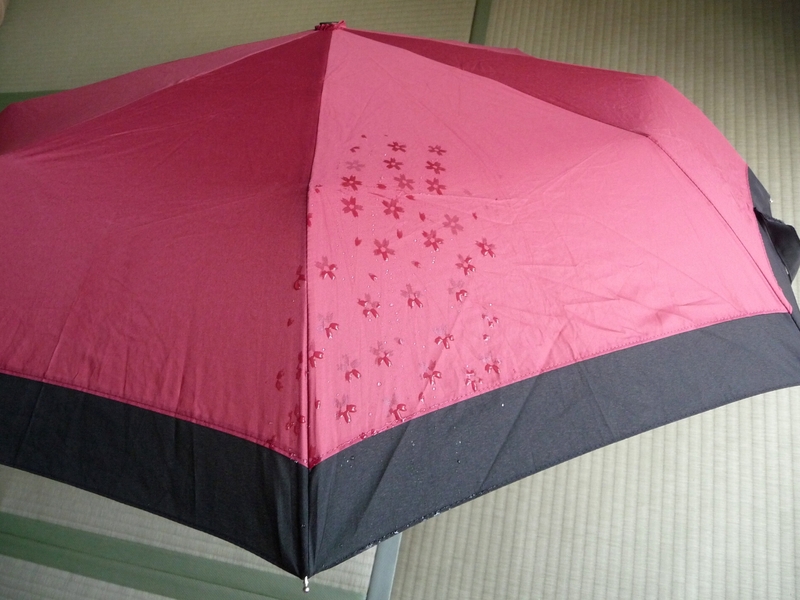 Plus I couldn’t resist wearing something with Rilakkuma on it! 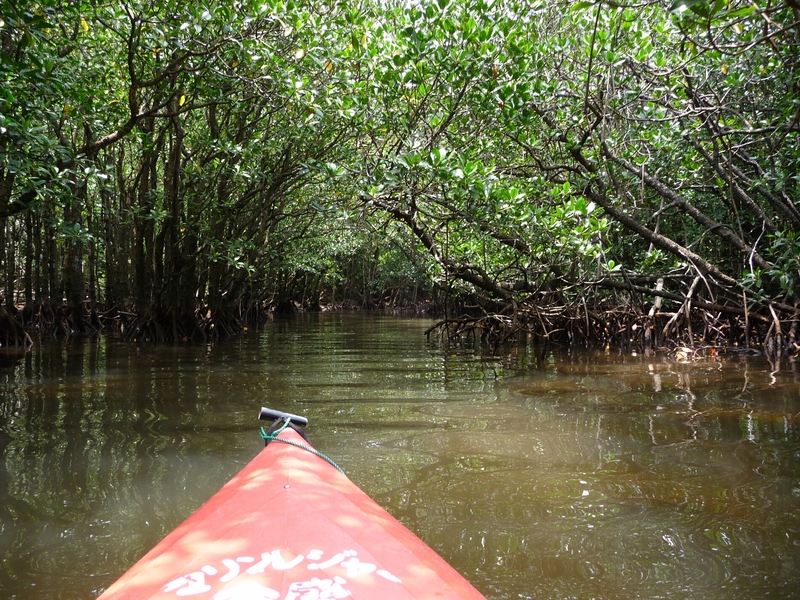 Being able to get so close to the mangrove trees was really a great experience. I’m glad we did the river cruise because we got a lot of information from the guide but exploring on our own was definitely a lot more fun for me. With the sunlight streaming through the trees, it felt like we were in some kind of mystical place. But I will admit that sometimes it felt a bit eerie when the forest began closing back up on our chosen course, especially since there was no one else around and it was just so quiet. Our map showed a spot where you could pull the canoe up against the rocks and take a trail up to an observation point and we made that our goal. We were going against the tide so it was definitely work to paddle up the river that far. A guide from a river boat that passed us along the way shouted, “Ganbatte!” It’s an expression used to encourage someone to try hard or do their best. We definitely worked hard but we did finally make it to the small dock and began trekking through the forest. 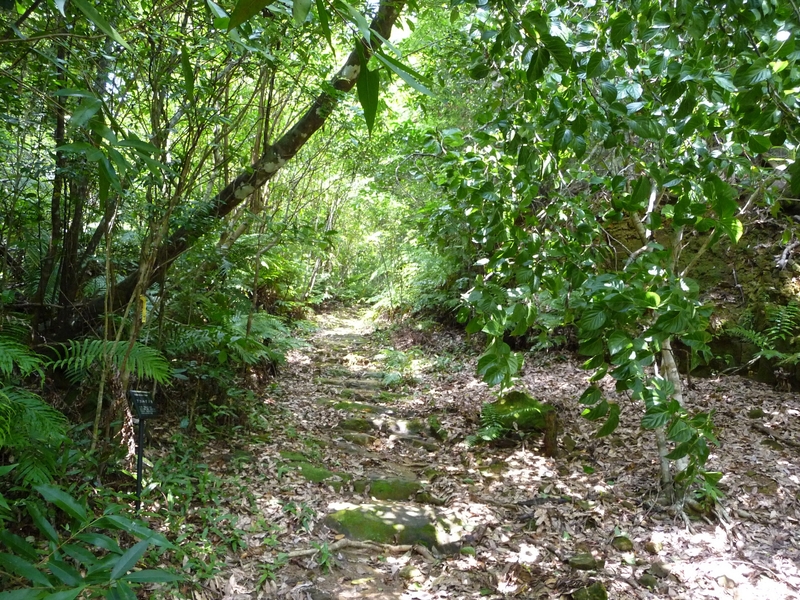 The start of the trail was fine but further up it was not well maintained and we were constantly on the lookout for any venomous Habu snakes that might cross our path. We didn’t see any snakes but we did come to one point on the trail where the side of the path had become a beehive and there were lots of bees buzzing around. Rather than try to walk through/by them or go off trail through possibly snake infested forest, we decided to play it safe and turn back. Once back in the canoe, we decided we should probably start heading back and explore the opposite side of the river as we went. 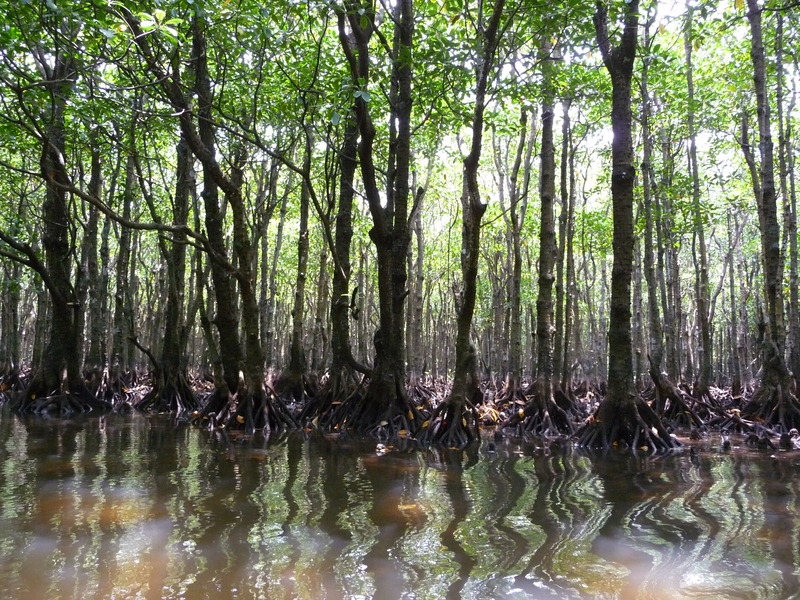 One of the really interesting things I learned about mangroves is how they survive and thrive in inundated areas. 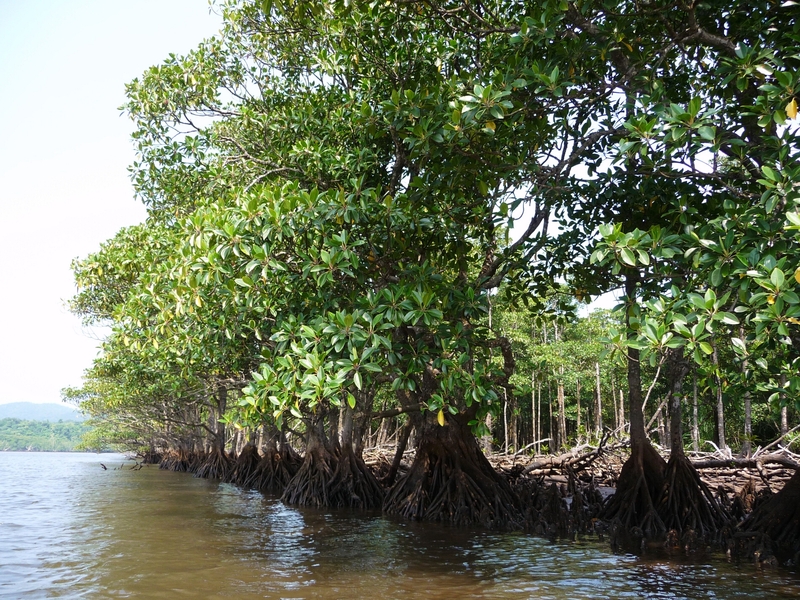 The trees are often propped out of the water somewhat by their root system that acts like stilts to keep the main trunk above the waterline. 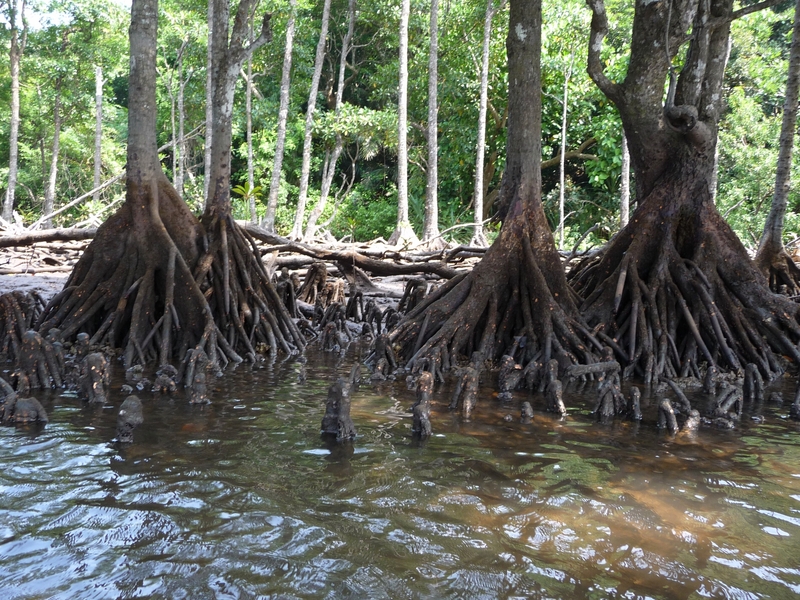 The trees also have lots of roots that stick back up out of the water like little breathing tubes and this helps them to take in more air. All those little pieces that look like they could be small, broken trunks are actually roots that have grown back up to reach the air. 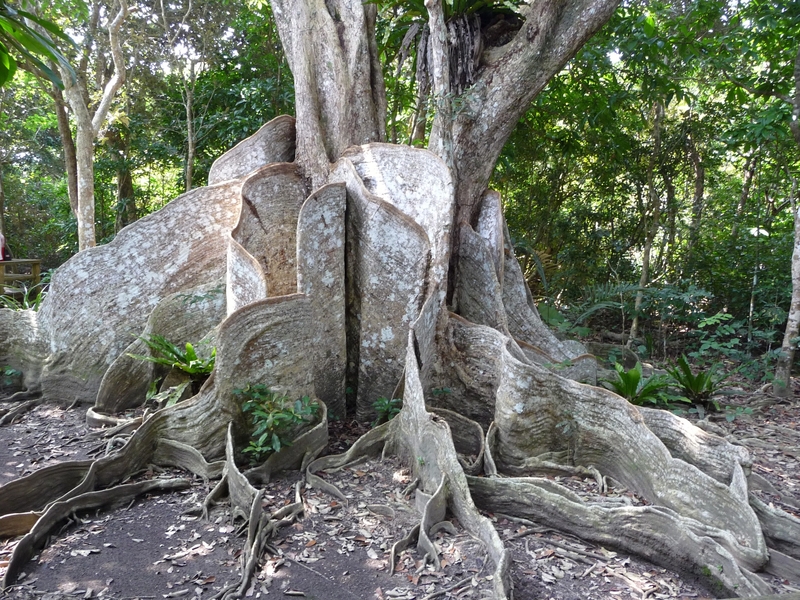 The trees also have a clever way of dealing with all that extra salt from the seawater. 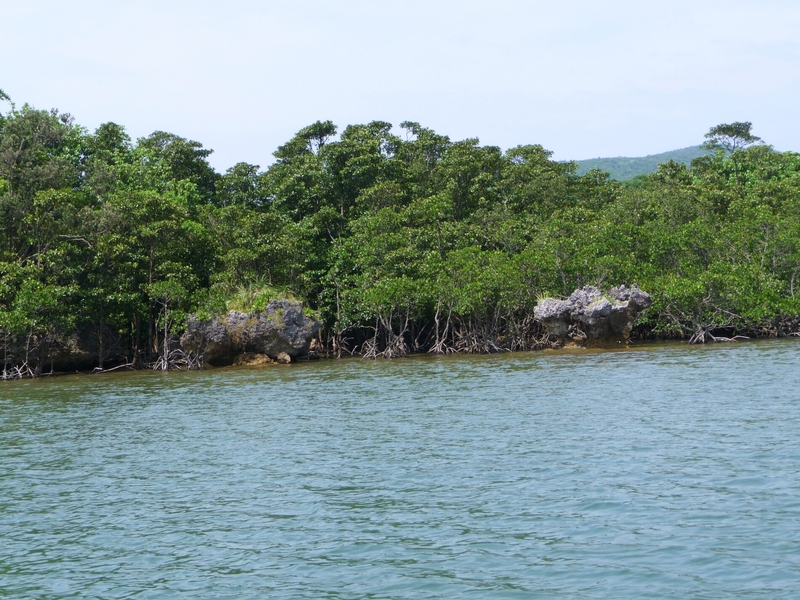 Their root system does a fantastic job of filtering out extra salt and according to our guide, the trees get rid of any remaining excess by sacrificing certain leaves. You can see that most of the leaves are a healthy green but a couple are yellow. 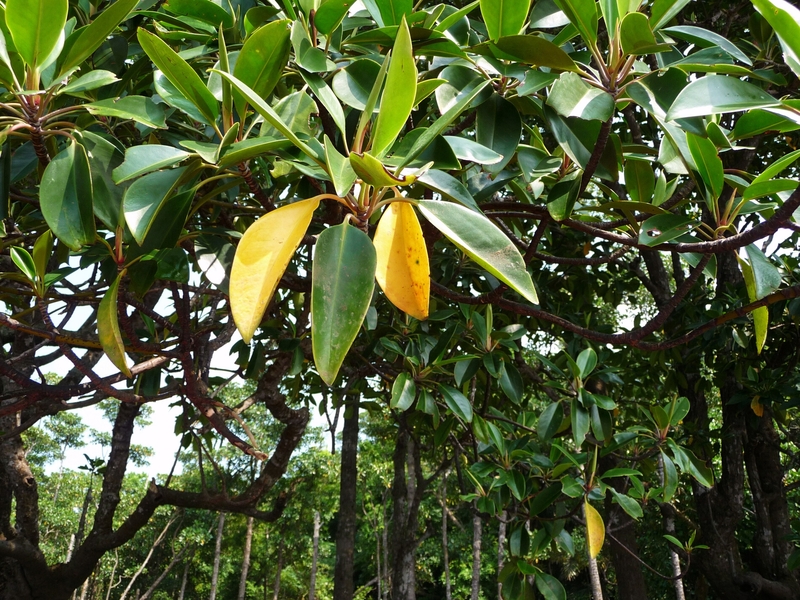 These yellow leaves are supposed to have that excess salt stored in them, allowing the remaining leaves to stay healthy. As we headed back to the rental shop, the tide was going out and we encountered several sandbanks that had become impassable. 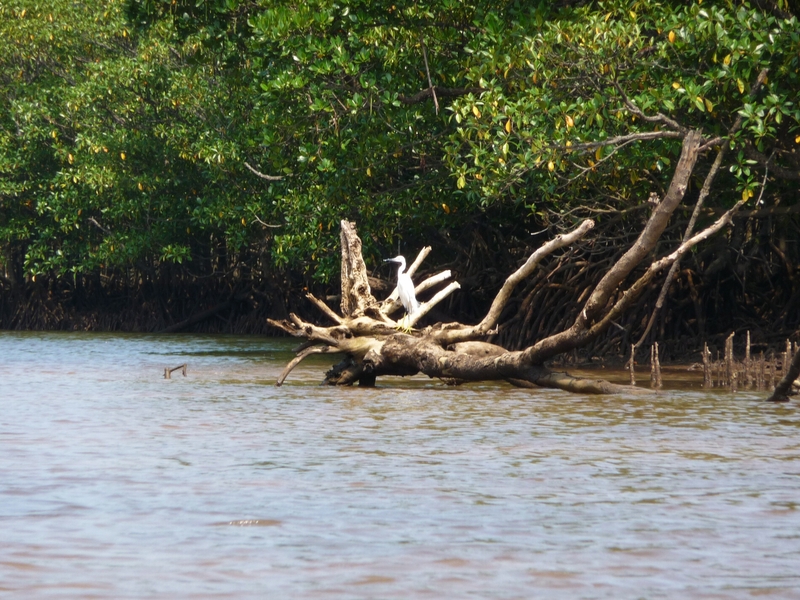 As we worked our way around these and back to deeper water, we saw several egrets making an appearance. 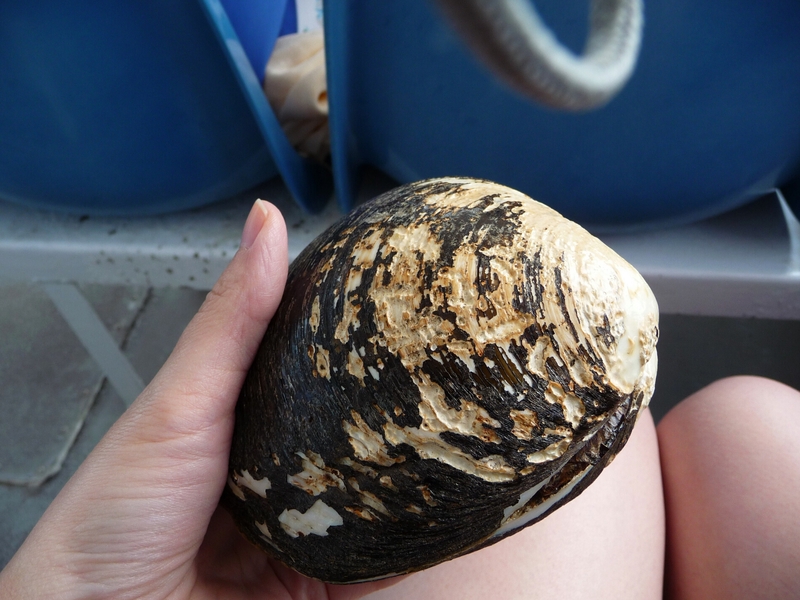 Perhaps low tide means dinnertime for them! When we returned the canoe, we discovered we’d been out and about for 3-4 hours. No wonder my arms felt like they were going to fall off! 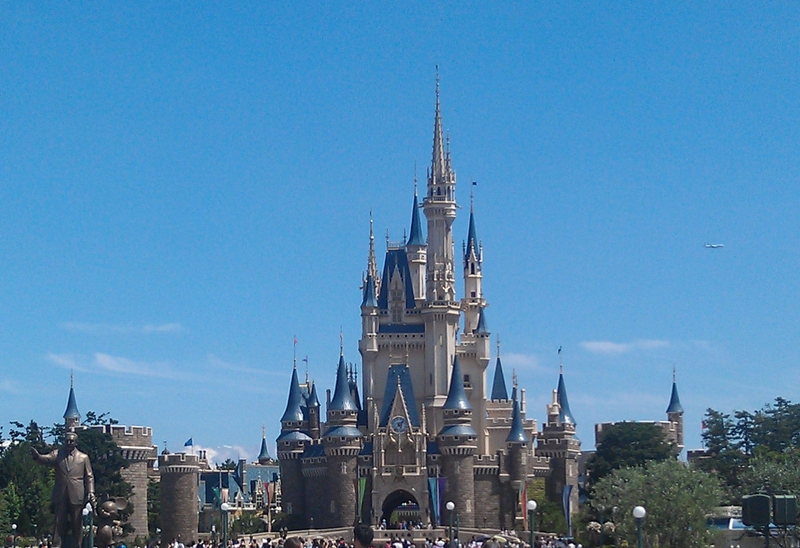 It was a lot of fun to go exploring on our own but I will admit, I was exhausted. And I was very grateful when the staff offered to drive us back to the port so we didn’t have to walk another half hour in the heat! Back at Ohara Port, we had just enough time before the next ferry to look around the gift shop and buy some souvenirs. 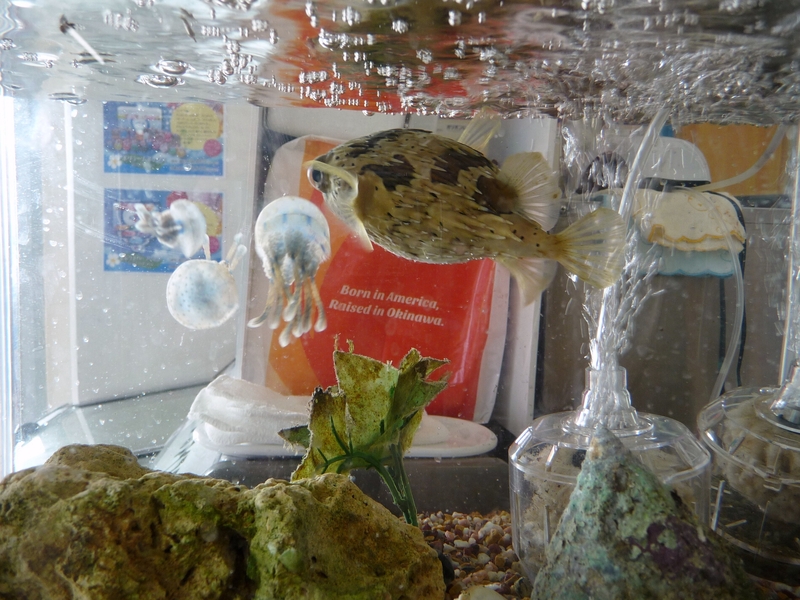 I also got distracted watching the jellyfish and what appeared to be some type of puffer fish swimming around the shop’s small aquarium. 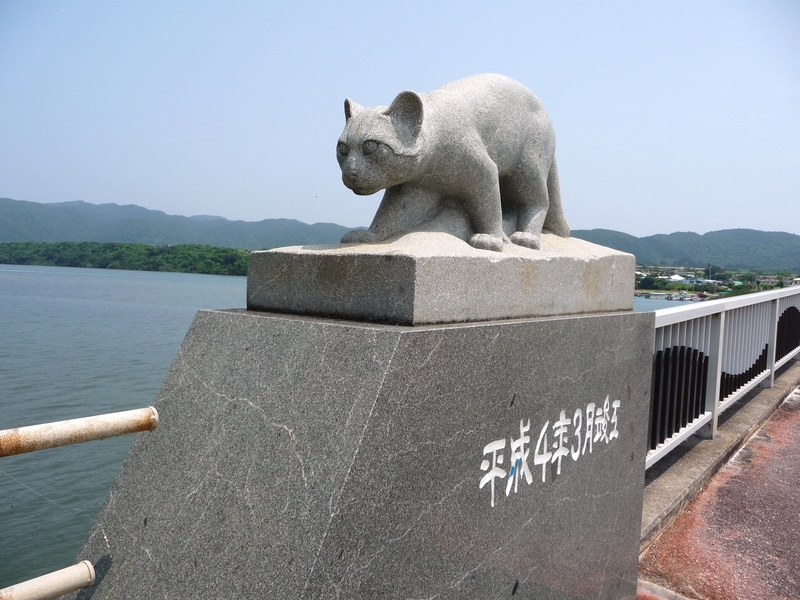 One thing I would have liked to have seen but knew I probably wouldn’t was an Iriomote yamaneko (西表山猫, “Iriomote mountain cat”). 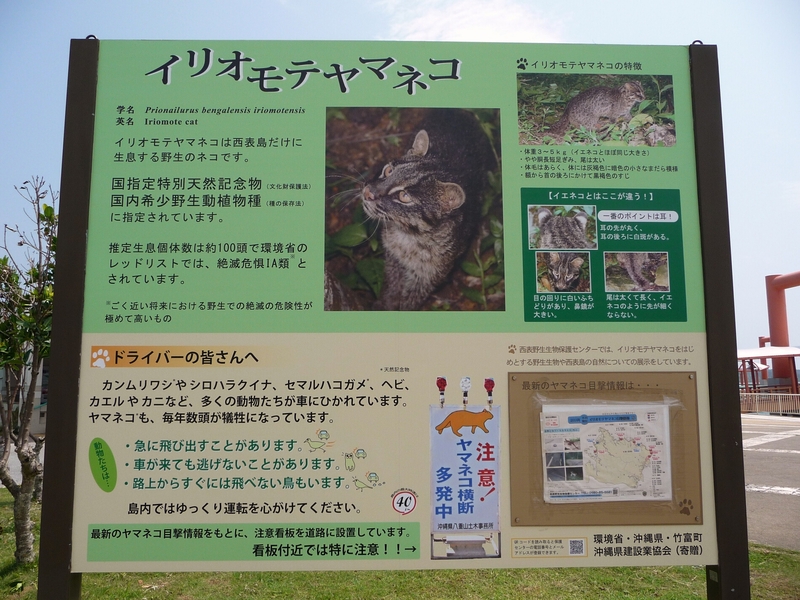 This cat is found only on Iriomote Island but a sighting is very rare since they are not only nocturnal but also since so few remain that they are considered critically endangered. The closest I got to seeing one was this information board. After such an exhausting outing, we headed back to the resort and relaxed until dinner. 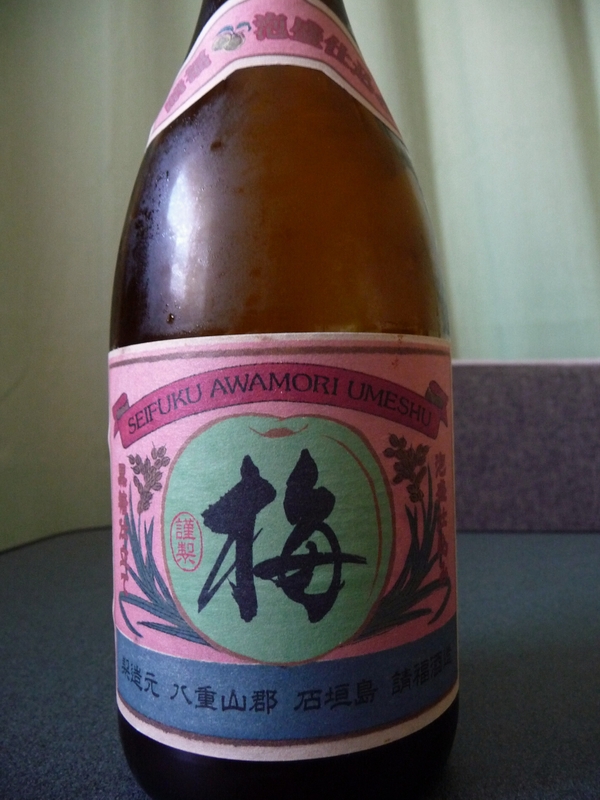 We’d enjoyed the resort’s Japanese Restaurant Yuntaku so much the previous night that we decided to go back again for our last dinner there. 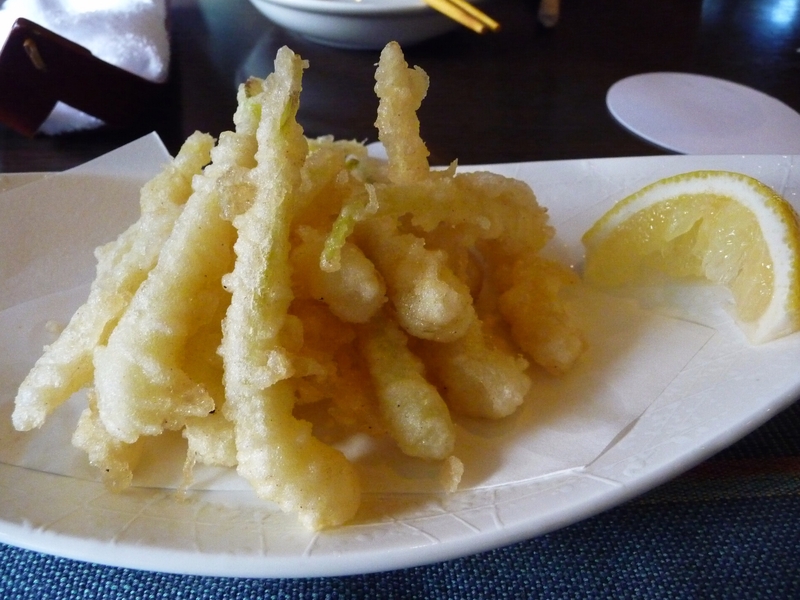 We ordered more of the tasty Okinawan leeks served tempura style and the delicious beef sushi we couldn’t get enough of. 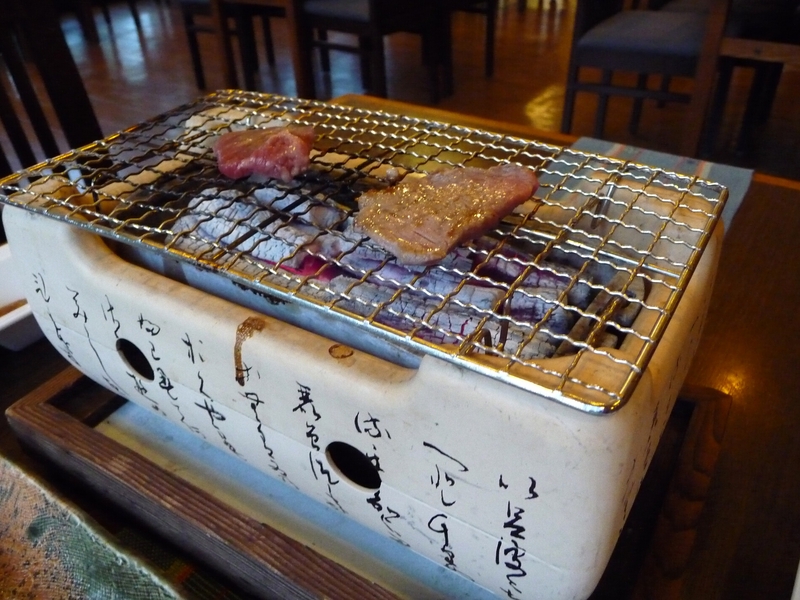 This time around we went with the charcoal grilled beef as the main course and it was just so good. We really don’t eat beef very often at home so we definitely splurged in a big way on our trip and it was delicious! After all that paddling, I definitely felt like I earned every bite of dinner that night. With all the exploring, learning interesting new things, and eating delicious foods, it was quite a satisfying day!